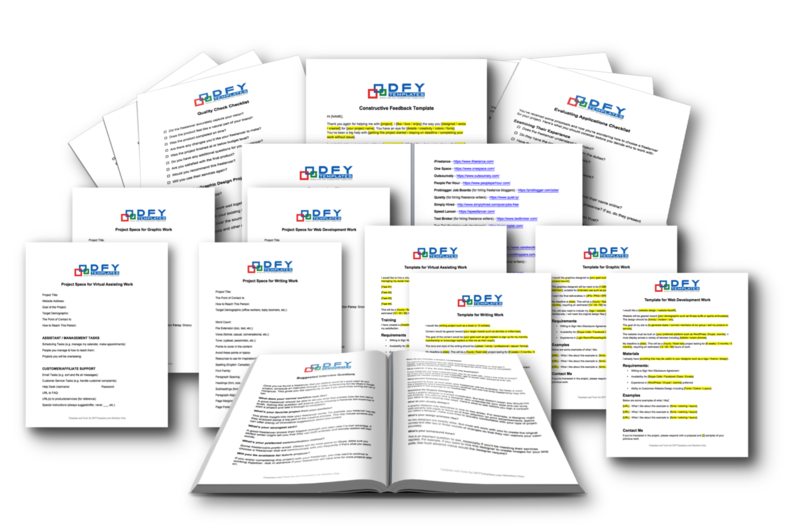 The biggest benefit of outsourcing is that it removes unpleasant tasks from your to-do list. For example, you may not enjoy keeping track of your business’s financial records. You could outsource this job to a bookkeeper. Every month, you would email your receipts to her. Then your bookkeeper will tally everything up and tell you how much you earned in profits. Take a look at your to-do list right now. Look for the items that need to be done but you don’t enjoy completing. Now, consider whether these tasks have to be done by you or if they be handled by someone else. Another benefit of outsourcing is that it can save you a lot of money. Maybe your strength isn’t in graphic design. You spend hours each week, trying to create images for your blog and social media accounts. You don’t like having to spend that much time and you don’t particularly like the look of the graphics you make. But you keep doing it because you think you’re saving money. The problem is if it takes you 3 hours to make a graphic and you get paid an hourly rate of $75, then you essentially paid $225 for that image. Now, if you outsourced the project and paid a professional designer $97, then you’ve actually made a profit of $128. Outsourcing also gives you the gift of focus. When you try to handle everything yourself, you end up wearing many hats. You’re the product creator. You’re the customer support representative. You’re the copywriter. You’re the web designer. You’re the graphics expert. Handling all of these different tasks can leave you hopping from one crisis to the next. You’re so busy tending to your business that you can’t afford to grow it. But with smart outsourcing, you can reclaim your focus and get back to developing your business. When you outsource, you also relieve stress and let go of frustration. For example, you’ve spent a week freaking out over your sales page. You’ve tried repeatedly to create the copy you need but nothing sounds right to you. The product launch is getting closer and you’re beginning to feel overwhelmed. Rather than continue to struggle with this task, give it to someone else. Hire a copywriter you’ve always wanted to work with. 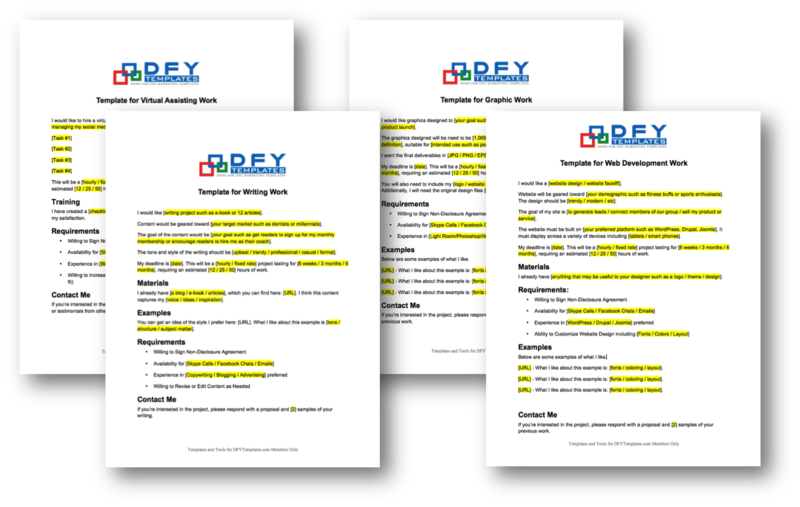 Reach out to a fellow business owner who has excellent sales copy and ask for an introduction to their copywriter. Then sit back and enjoy the feeling of your anxiety melting away. Insider's Strategy Guide: Discover how you can get more done with outsourcing in your business. This guide will get you get started the right way. 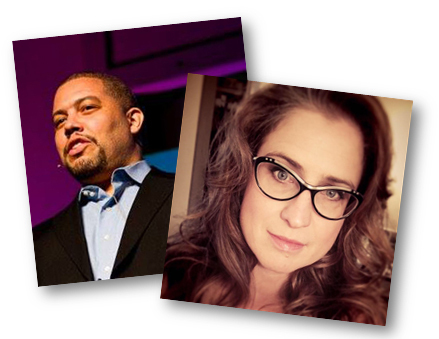 Part of the struggle with outsourcing is not knowing who to choose to work with. 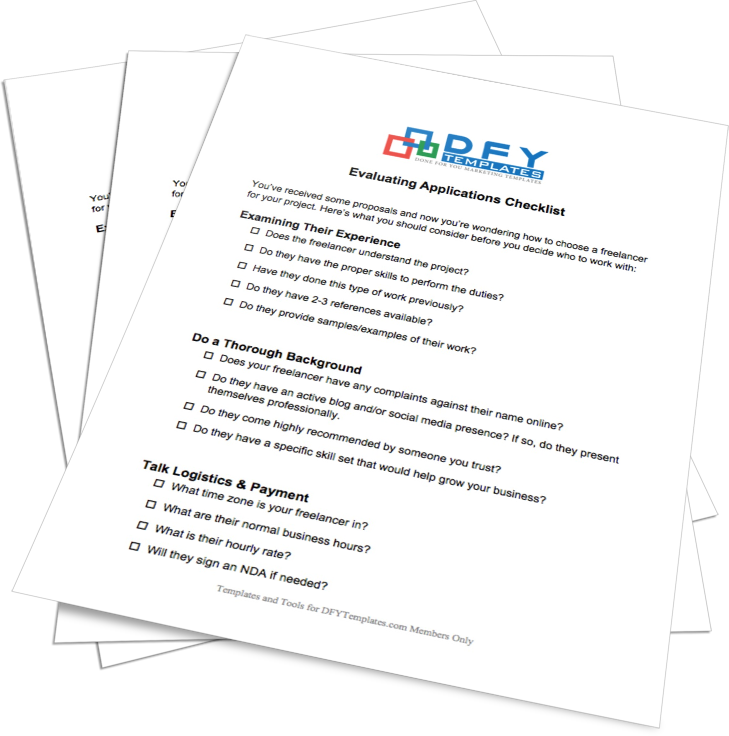 This checklist will help you thoroughly evaluate the responses and applications you receive back from potential outsourcers to ensure you make the right choice for your business. We’ve included a list of interview questions you can use as you begin talking to and assessing potenial contractors. 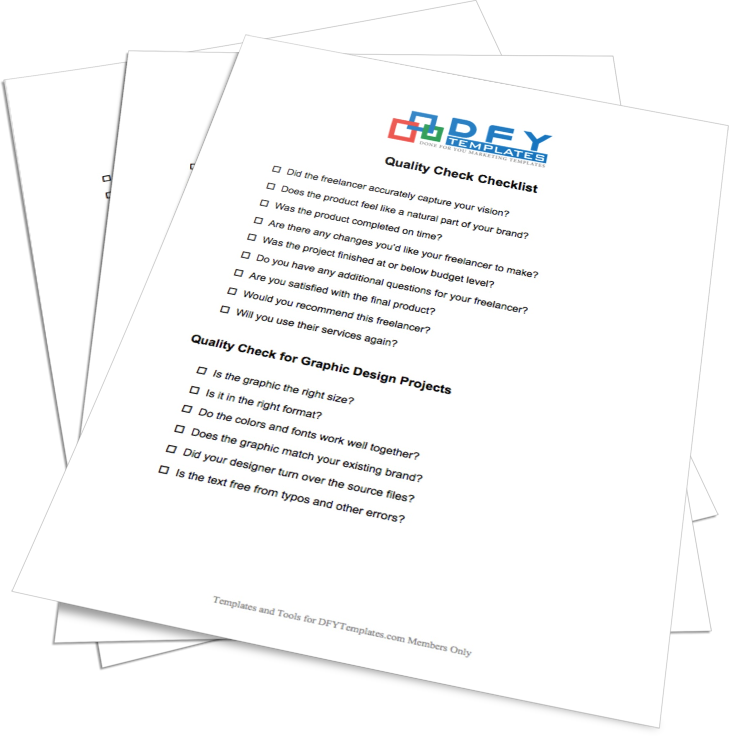 We want you to get the best work out of your contractor, so we’ve included a detailed quality check checklist that you can go through to ensure you are receiving quality service for your outsourced project. It can be difficult to provide constructive feedback when outsourcing. 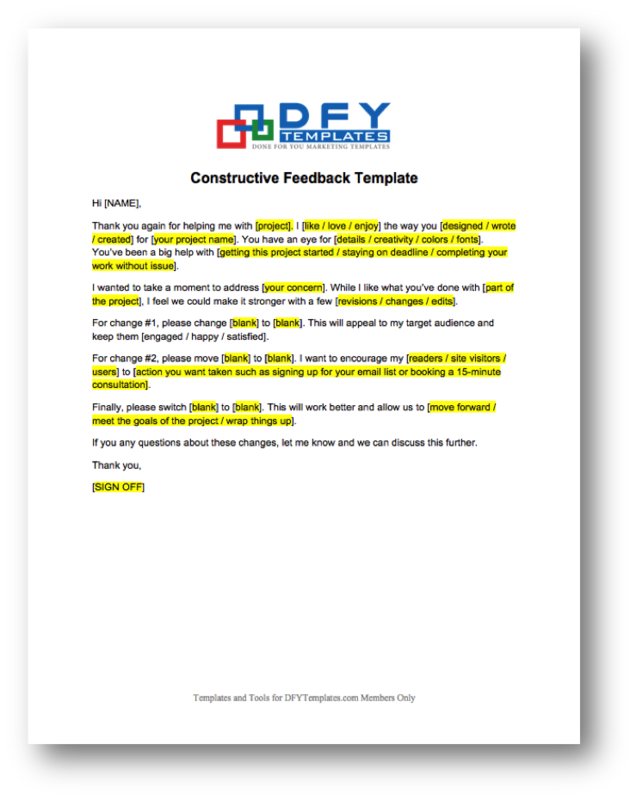 We’ve made it easy for you by providing a fill in the blanks template you can use to address any questions or concerns you may be having with your projects. No more struggling to find the right words. Finding the perfect person for the job can seem overwhelming at first, but we’ve provided a comprehensive list of websites for you that will help you in your outsourcing search. 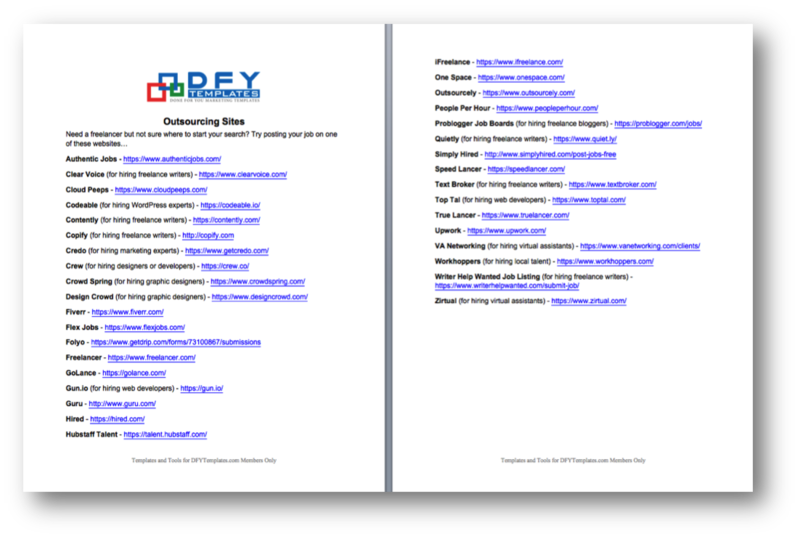 Template package to help you outsource.